Like some other dishes, Southerners prefer to use herbs to wrap rice cakes. 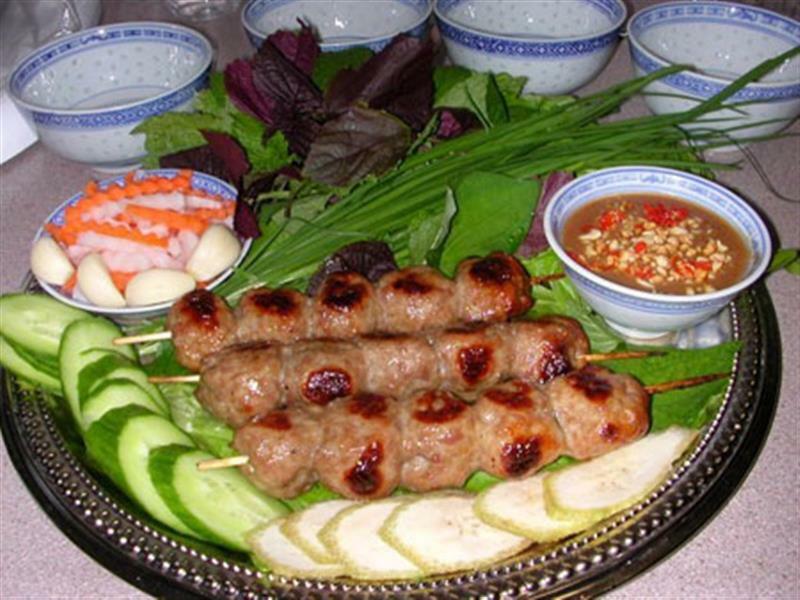 The Cai Rang grilled meat rolls also need herbs, banana leaves, cucumber, pineapple, sour starfruit… to make the right taste. 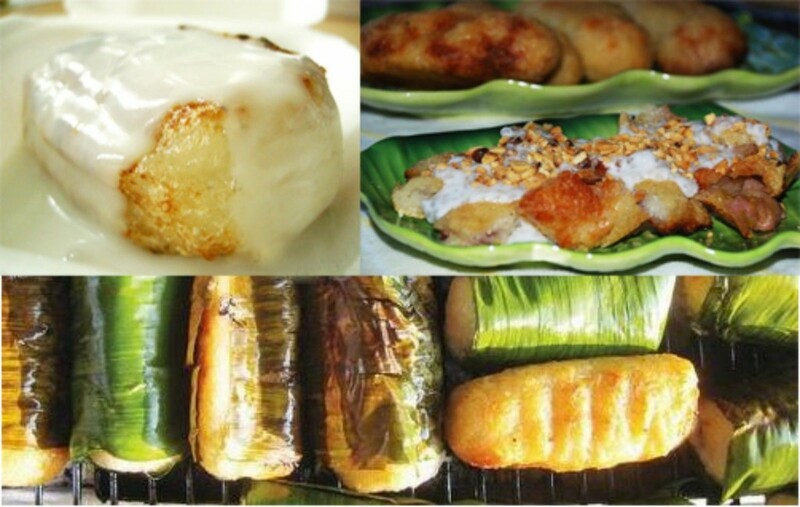 In Can Tho, the grilled banana is quite small, pretty, neither long nor fat. Delicious baked sticky banana is crispy brown color on the outside layer, the soft white color of the inner layer, the enough yellow ripe color of the banana. In the cold and rain weather, holding hot baked banana in the fresh banana leaf just bought vendors, just blow and bite delicious banana, is enough to make happy moments. Snail is lightly boiled and put on charcoal for grill. After that,pouring ready sauce including green pepper, garlic, power on the snail. When the water inside the snail is boiling, put the grilled snails on dish with laksa leaves. The snails are delicious, sweet, salty, crunchy bringing the visitors great feeling. 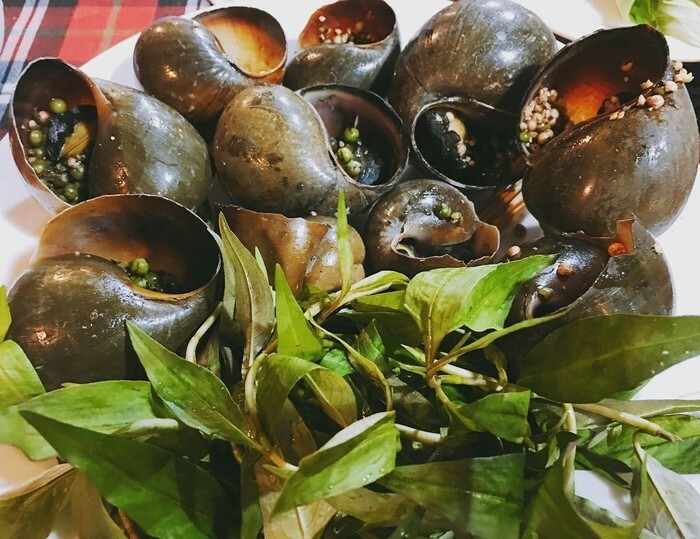 The attraction of the apple mangrove hotpot in Phu sa is not only in the simple name of “apply mangrove fruit” but also the special taste of the dish. The sour taste of hotpot is very sweet and tender. In the West of Vietnam, people do not call “make” pancako, but “pour” pancako. When pouring, people take a cup of powder and pour into a hot iron pan, listening to “xeo” sound, the name of the cake may also originate from the sound of making process.. The soul to make the flavor of typical pancako is the sauce. Sauce must be prepared in accordance with the technique to make the right taste of this hot sauce. 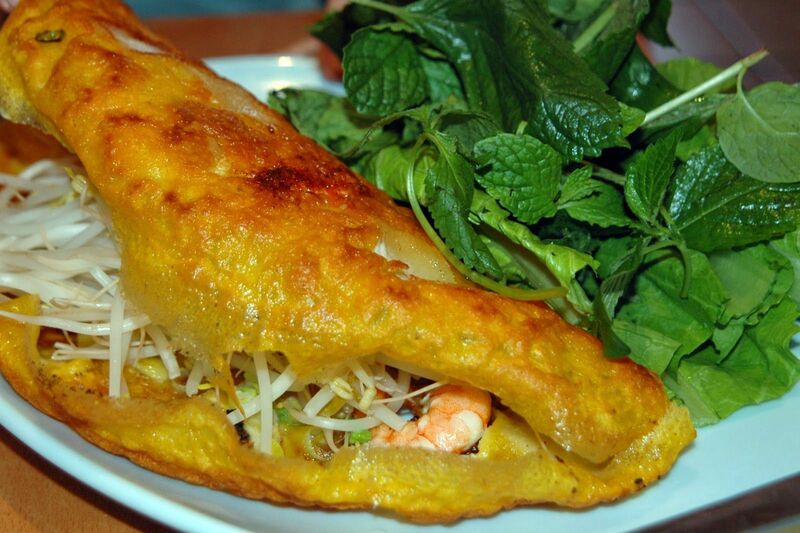 Pancako is eated with many vegetables such as green salad, lettuce, and herbs. Eating the pancako by hand, not the chopsticks, makes visitors feel more delicious. Coming to Can Tho, if tourists have the opportunity to visit Phong Dien fruit gardens to take part in a picnic day to do as a farmer with activities such as picking vegetables, boating and fishing… remember to visit the Minh Canh garden to enjoy the fine rice noodle cake with roast port-delicious pork made by the garden man. 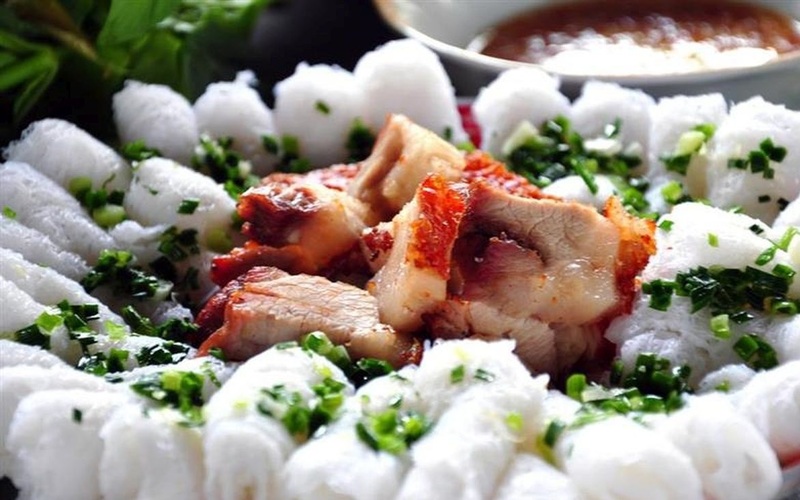 The cake is made from rice served with roast pork, herbs and fish sauce, sweet, spicy and sour sauce. Southerners eat cake with fat with onions. Enjoying the tiny cake with raw vegetables, hot roasted pork and sauce is easy and delicious to eat. Not famous for delicacy dishes, Tay Do cuisine hold tourists with simple dishes but strongly delicious. 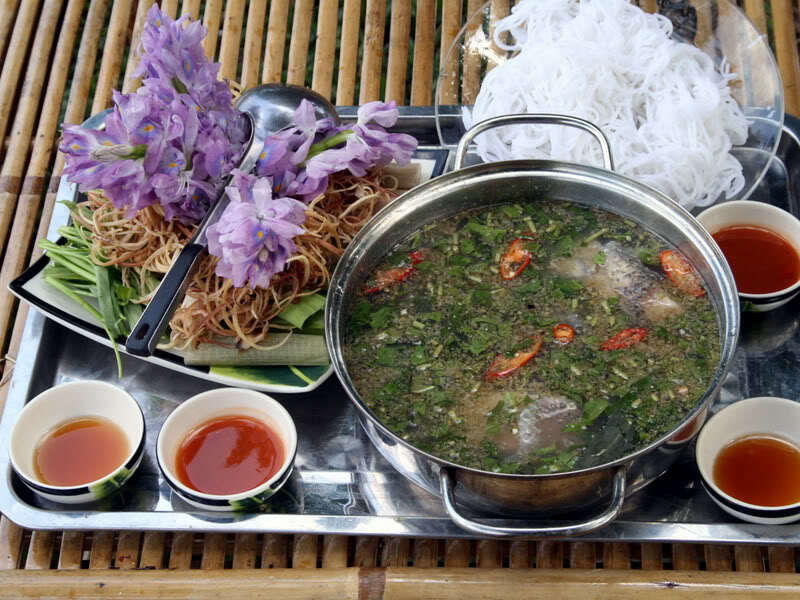 Coming to Can Tho tourism and having the opportunity to enjoy any dish of this land, visitors always remember the taste of those dishes and want to come back once again.